Many of you may not know that I’m not just an artist, but also an investor. I’ve done both to varying degrees of success over the last 25 years, primarily focused on entertainment oriented companies. One of my most hands-on investment these days is called Fotografiska. We are the largest photography museum in the world. In a beautiful old harbour building spanning almost 9,000 square meters, we show every form of photography. There are several shows on display at any given time, which we curate directly with the artists, estates, or large collections. We don’t have our own collection, and we hang a new show every eight weeks. Our members who come back to the museum every two or three weeks get to see something new each visit. We’ve got a great restaurant for which we just won Best Museum Restaurant in the World from Leading Cultural Destinations, but we also have a cool Member’s Lounge, an Academy, some Events spaces, and a Shop where people can buy books and other things tied to photography, and to the artists specifically. We now plan on expanding to other cities. The privately-run Stockholm museum Fotografiska is already one of the world’s most internationally successful art spaces for photography. Its founders, Jan and Per Broman, have big plans for 2019. With Fotografiska opening new museums in New York and London, it is expected that new branches will follow suit. The Berlin-based investor, collector and photo artist, Yoram Roth (*1968), is the major financier behind Fotografiska’s ambitious expansion plans. We met him in the middle of October in his spacious loft studio in Berlin’s Moabit district, where his own work can be found hanging on the walls. fotoMagazin: How did you get involved with Fotografiska? Yoram Roth: I got to know the Fotografiska founders a few years ago at the Unseen photo art fair. I’d already recognised the opportunity for an investment and accepted the invitation to get on board with Fotografiska. From the very outset, we shared the common goal of developing this museum model on a larger scale. Fotografiska has been operating in Stockholm for ten years and has enjoyed great success. We get 550,000 visitors a year there, all of whom want to look at photography. It is not only photo art that is on display, but also documentary and landscape photography. fotoMagazin: What convinced you to come on board with Fotografiska as an investor? Yoram Roth: I view Fotografiska as a model for the future. Contemporary art often comes across as being exclusive. People don’t feel welcome around it and always get something of a feeling of not understanding everything properly. Hardly anyone has the confidence to ask precise questions. The fact is, you’re not one of the “cool kids” there. The big museums are today’s temples: you come in and are supposed to feel small. You get to stand staring in amazement, talk in hushed tones and should then disappear as quickly as possible. fotoMagazin: And if you don’t understand something, it’s your own fault. Yoram Roth: Right. But with photography, it’s precisely the other way around. Here, everyone has access. The moment a person stands in front of a photo, they either think it’s great or dreadful. In any case, they always feel permitted to have an opinion. Everyone knows how hard it is to shoot a good picture. Photography is far more inclusive. Here, you get the feeling that you’re allowed to be involved. Some people in the art scene quite simply don’t realise how “normal” people perceive art. They want to look at things they can identify with. There’s always a kind of snobbism, where people claim that photography isn’t art. That’s wrong. fotoMagazin: Is Fotografiska becoming an increasingly serious competitor to the traditional museum landscape? Yoram Roth: The competition is all about people’s interest and their time. When a person has a free afternoon, they still only have a certain amount of time. In this sense, we are a competitor. However, a traditional museum has a totally different role to play. It gets its funding from the state and is supposed to use this to purchase art and display it to the public. We don’t have our own collection. We show our works of art in direct collaboration with the artists, their estates, or with collectors, and we present at least five shows at a time. And because we continuously rotate the exhibitions between cities, we open a new one almost every week. Returning visitors to Fotografiska encounter new exhibitions every time. fotoMagazin: Is there a pressure to succeed here? Does an exhibition have to draw in a specific number of visitors? Yoram Roth: We don’t gauge matters per exhibition but rather attempt to achieve a mixture: we normally display one well-known, major photographer alongside a talented, young artist who is more easily accessible, next to a challenging artist, and of course a great deal of documentary photography. Socially-engaged photography, which we mostly present in conjunction with a journalistic organisation, such as the Dagbladet in Stockholm, form part of this. We have already done 50 exhibitions in a series we call Fotografiska for Life. This is an instrument for social change. What the images communicate can leave such as impression on the viewers that engenders a discussion of social issues. fotoMagazin: When we look at traditional museums, we often get the feeling that curators don’t view it as necessary for exhibitions to interest anyone outside of their own circle of colleagues. Is Fotografiska raising the bar in terms of them needing to take action in this regard? Yoram Roth: I don’t think so. Museums think in terms of centuries and I respect that. There are some great photography museums – you can see that here in Berlin. It’s a wonderful situation: we have the Museum of Photography (Museum der Fotographie) and the Helmut Newton Foundation, where visitors can take in fantastic exhibitions. And what Stephan Erfurt has built up with C/O Berlin is incredibly good. 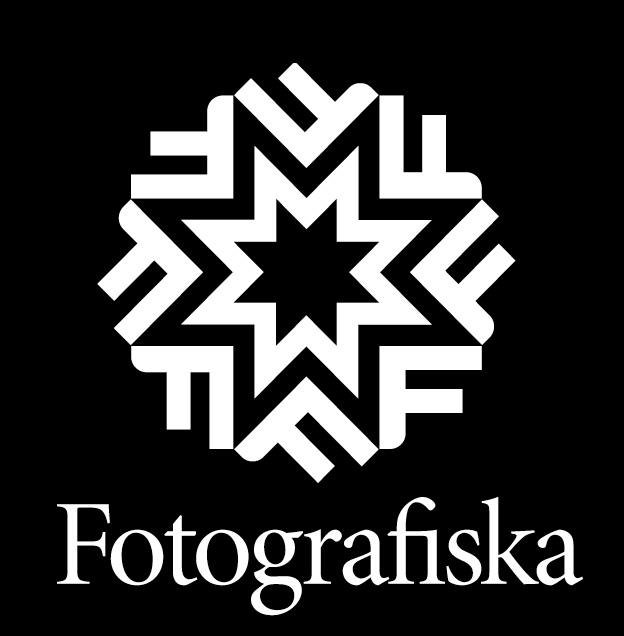 fotoMagazin: Is there a market for Fotografiska in Germany, too? Yoram Roth: Absolutely – especially in Berlin! fotoMagazin: So, is a Fotografiska museum also being planned for Berlin? Yoram Roth: Yes! I wouldn’t know where else to go in Germany. fotoMagazin: Although, in terms of photography, Berlin already has the most to offer? Yoram Roth: More is more, if you ask me. Berlin is becoming the photography capital. Of course, Paris is the mother town of all photography, but you don’t get the sense there that people are looking to the future. We are future-oriented in Berlin. Berlin will be the photography capital of Europe, if not the world. fotoMagazin: When is Fotografiska coming to Berlin? Yoram Roth: We’re still looking for a building. It will have to be culturally suitable and the location will have to be just right. Finding something large is no easy endeavour, but we don’t need any windows so we would also be able to take on buildings which are of no use to others. fotoMagazin: You struck gold in New York! Yoram Roth: We spent five years looking there before finally locating a building. In London, we’re in an enormous building over several stories. We have a larger offering there. We always provide a restaurant, a lounge for club members and lecture rooms. fotoMagazin: There is always talk on the museum scene of Fotografiska being nothing more than a smokescreen for the culinary scene attracted by your restaurant. Yoram Roth: (laughs) I don’t know if that’s true. Everything that we offer has to match up. As far as I know, there is still no museum restaurant in Berlin, unlike in New York. They operate completely separately from the museums and each has its own opening hours. With us, the restaurant is completely integrated. When a person comes in for something to eat, they can get up, look at the art and then sit back down again. Of course, we’ll have to see how we get by financially; the big museums have no responsibilities in terms of earning money. fotoMagazin: This means that the Fotografiska restaurants are actually more significant. Yoram Roth: Absolutely! The cuisine has to be good and it has to suit the environment. We can’t just put out a few sandwiches. fotoMagazin: Would a Michelin star restaurant also work at Fotografiska? Yoram Roth: A Michelin star restaurant really wouldn’t be right. Put simply, we’re not that fancy. Everything here has to be inclusive. We want everyone who visits us to feel welcome. I don’t know many people who feel welcome in a Michelin star restaurant. fotoMagazin: Do you see yourself more as a photo artist, who also invests in photography, or as an investor, who also takes photographs? Yoram Roth: I don’t make a distinction and have always failed to understand why people insist that an artist cannot also be a businessman. fotoMagazin: There aren’t that many people who combine these two perspectives. Yoram Roth: It’s a glorious coincidence. I don’t know if I myself would have breathed life into something like Fotografiska. But as Jan and Per Broman already had, and we started having this conversation, the opportunity arose to get on board just as they were looking to expand the project. I know how to set something like this up on an international basis. I move extensively through the art scene and as a result, I meet investors all over the place who are themselves collectors. They always make it clear to me that they would also be keen to invest with us. fotoMagazin: As a collector, do you have different tastes to the exhibition organisers at Fotografiska? Yoram Roth: Nobody wants to look at the work I collect; that’s just something I’ve had to get used to. I quickly learned that there is a difference between what I like and what appeals to others. I’m also too much of an insider.